macintosh – Carpet Bomberz Inc. Since last year, Apple’s been hard at work building out their own CDN and now those efforts are paying off. Recently, Apple’s CDN has gone live in the U.S. and Europe and the company is now delivering some of their own content, directly to consumers. In addition, Apple has interconnect deals in place with multiple ISPs, including Comcast and others, and has paid to get direct access to their networks. 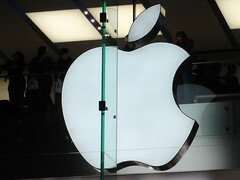 via Apple’s CDN Now Live: Has Paid Deals With ISPs, Massive Capacity In Place – Dan Rayburn – StreamingMediaBlog.com. Given some of my experiences attempting to watch the Live Stream from Apple’s combined iPhone, Watch event, I wanted to address CDN. Content Distribution Networks are designed to speed the flow of many types of files from Data Centers or Video head ends for Live Events. So I note, I started this article back on August 1st when this original announcement went out. And now it’s doubly poignant as the video stream difficulties at the start of the show (1PM EDT) kind of ruined it for me and for a few others. They lost me in that scant few first 10 minutes and they never recovered. I did connect later but that was after the Apple Watch presentation was half done. Oh well, you get what you pay for. I paid nothing for the Live Event stream from Apple and got nothing in return. Back during the Steve Jobs era, one of the biggest supporters of Akamais and its content delivery network was Apple Inc. And this was not just for streaming of the Keynote Speeches and MacWorld (before they withdrew from that event) but also the World Developers Conference (WWDC). At the time enjoyed great access to free streams and great performance levels for free. But Apple cut way back on that simulcasts and rivals like Eventbrite began to eat in to Akamai’s lower end. Since then the huge data center providers began to build out their own data centers worldwide. And in so doing, a kind of internal monopoly of content distribution went into effect. Google was first to really scale up in a massive way then scale out, to make sure all those GMail accounts ran faster and better in spite of the huge mail spools on each account member. Eventually the second wave of social media outlets joined in (with Facebook leading a revolution in Open Stack and Open Hardware specs) and created their own version of content delivery as well. Now Apple has attempted to scale up and scale out to keep people tightly bound to brand. iCloud really is a thing, but more than that now the real heavy lifting is going on once and for all time. Peering arrangements (anathema to the open Internet) would be signed and deals made to scratch each other’s backs by sharing the load/burden of carrying not just your own internal traffic, but those of others too. And depending on the ISP you could really get gouged by those negotiations. But no matter Apple soldiered on and now they’re ready to really let all the prep work be put to good use. Hopefully the marketing will be sufficient to express the satisfaction and end user experience at all levels, iTunes, iApps, iCloud data storage and everything else would experience the boosts in speed. If Apple can hold its own against both Facebook and Gmail in this regard, they future’s so bright they’re gonna need shades. So for now, Cyclone’s performance is really used to exploit race to sleep and get the device into a low power state as quickly as possible. 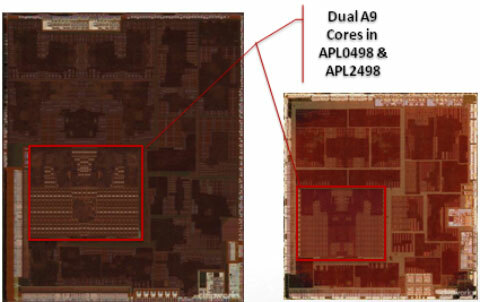 via AnandTech | Apple’s Cyclone Microarchitecture Detailed. Race to sleep, is the new, new thing for mobile cpus. Power conservation at a given clock speed is all done through parceling out a task and with more cores or higher clock speed. All cores execute and comple the task then cores are put to sleep or a much lower power state. That’s how you get things done and maintain a 10 hour battery life for an iPad Air or iPhone 5s. So even though a mobile processor could be the equal of the average desktop cpu, it’s the race to sleep state that is the big differentiation now. That is what Apple’s adopting of a 64bit ARM vers. 8 architecture is bringing to market, the race to sleep. At the very beginning of the hints and rumors 64bit seemed more like an attempt to address more DRAM or gain some desktop level performance capability. But it’s all for the sake of executing quick and going into sleep mode to preserve the battery capacity. I’m thinking now of some past articles covering the nascent, emerging market for lower power, massively parallel data center servers. 64bits was an absolute necessary first step to get ARM cpus into blades and rack servers destined for low power data centers. Memory addressing is considered a non-negotiable feature that even the most power efficient server must have. Didn’t matter what CPU it is designed around, memory address HAS got to be 64bits or it cannot be considered. That rule still applies today and will be the sticking point still for folks sitting back and ignoring the Tilera architecture or SeaMicro’s interesting cloud in a box designs. 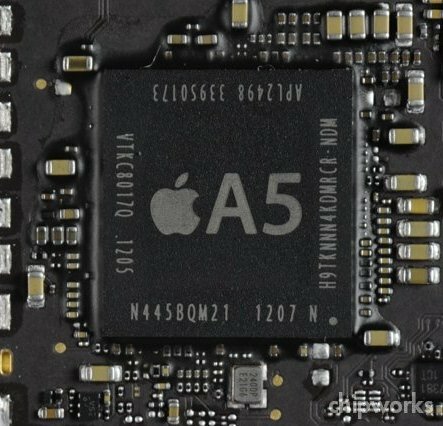 To date, it seems like Apple was first to market with a 64bit ARM design, without ARM actually supplying the base circuit design and layouts for the new generation of 64bit ARM. Apple instead did the heavy lifting and engineering themselves to get the 64bit memory addressing it needed to continue its drive to better battery life. Time will tell if this will herald other efficiency or performance improvements in raw compute power. Reading through all the hubbub and hand-waving from the technology ‘teardown’ press outlets, one would have expected a bigger leap from Apple’s chip designers. A fairly large chip sporting an enormous graphics processor integrated into the die is what Apple came up with to help boost itself to the next higher rez display (so-called Retina Display). The design rule is still a pretty conservative 45nm (rather than try to push the envelope by going with 32nm or thinner to bring down the power requirements). Apple similarly had to boost its battery capacity to make up for this power hungry pixel demon by almost 2X more than the first gen iPad. So for almost the ‘same’ amount of battery capacity (10 hours of reserve power), you get the higher rez display. But a bigger chip and higher rez display will add up to some extra heat being generated, generally speaking. Which leads us to a controversy. Given this knowledge there has been a recent back and forth argument over thermal design point for iPad 3rd generation. Consumer Reports published an online article saying the power/heat dissipation was much higher than previous generation iPads. They included some thermal photographs indicating the hot spots on the back of the device and relative temperatures. While the iPad doesn’t run hotter than a lot of other handheld devices (say Android tablets). It does run hotter than say an iPod Touch. But as Apple points out that has ALWAYS been the case. So you gain some things you give up some things and still Apple is the market leader in this form factor, years ahead of the competition. And now the tempest in the teapot is winding down as Consumer Reports (via LA Times.com)has rated the 3rd Gen iPad as it’s no. 1 tablet on the market (big surprise). So while they aren’t willing to retract their original claim of high heat, they are willing to say it doesn’t count as ’cause for concern’. So you be the judge when you try out the iPad in the Apple Store. Run it through its paces, a full screen video or 2 should heat up the GPU and CPU enough to get the electrons really racing through the device. I’ve seen the future, and not only does it work, it works without tools. It’s moddable, repairable, and upgradeable. Its pieces slide in and out of place with hand force. Its lid lifts open and eases shut. It’s as sleek as an Apple product, without buried components or proprietary screws. via Hope for a Tool-Less Tomorrow | iFixit.org. Oh how I wish this were true today for Apple. I say this as a recent purchaser of a Apple re-furbished iMac 27″. My logic and reasoning for going with the refurbished over new was based on a few bits of knowledge gained reading Macintosh weblogs. The rumors I read included the idea that Apple repaired items are strenuously tested before being re-sold. In some cases return items are not even broken, they are returns based on buyers remorse or cosmetic problems. So there’s a good chance the logic board and lcd have no problems. Now reading back this Summer just after the launch of Mac OS X 10.7 (Lion), I read about lots of problems with crashes off 27″ iMacs. So I figured a safer bet would be to get a 21″ iMac. But then I started thinking about Flash-based Solid State Disks. And looking at the prohibitively high prices Apple charges for their installed SSDs, I decided I needed something that I could upgrade myself. But as you may know iMacs over time have never been and continue to remain not user up-gradable. However, that’s not to say people haven’t tried or succeeded in upgrading their own iMacs over the years. Enter the aftermarket for SSD upgrades. Apple has attempted to zig and zag as the hobbyists swap in newer components like larger hard drives and SSDs. Witness the Apple temperature sensor on the boot drive in the 27″ iMac, where they have added a sensor wire to measure the internal heat of the hard drive. As the Mac monitors this signal it will rev-up the internal fans. Any iMac hobbyist attempting to swap out a a 4TByte or 3TByte drive for the stock Apple 2TByte drive will suffer the inevitable panic mode of the iMac as it cannot see its temperature sensor (these replacement drives don’t have the sensor built-in) and assumes the worst. They say the noise is deafening when those fans speed up, and they never, EVER slow down. 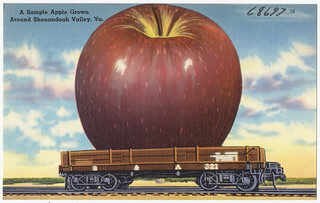 This Apple’s attempt insure sanctity through obscurity. No one is allowed to mod or repair, and that means anyone foolish enough to attempt to swap their internal hard drive on the iMac. But, there’s a workaround thank goodness and that is the 27″ iMac whose internal case is just large enough to install a secondary hard drive. You can slip a 2.5″ SSD into that chassis. You just gotta know how to open it up. And therein lies the theme of this essay, the user upgradable, user friendly computer case design. The antithesis of this idea IS the iMac 27″ if you read these steps from iFixit and the photographer Brian Tobey. Both of these websites make clear the excruciating minutiae of finding and disconnecting the myriad miniature cables that connect the logic board to the computer. Without going through those steps one cannot gain access to the spare SATA connectors facing towards the back of the iMac case. I decided to go through these steps to add an SSD to my iMac right after it was purchased. I thought Brian Tobey’s directions were just slightly better and had more visuals pertinent to the way I was working on the iMac as I opened up the case. It is in a word a non-trivial task. You need the right tools, the right screwdrivers. In fact you even need suction cups! (thankyou Apple). However there is another way, even for so-called All-in-One style computer designs like the iMac. It’s a new product from Hewlett-Packard targeted for the desktop engineering and design crowd. It’s an All-in-One workstation that is user upgradable and it’s all done without any tools at all. Let me repeat that last bit again, it is a ‘tool-less’ design. What you may ask is a tool-less design? I hadn’t heard of it either until I read this article in iFixit. And after having followed the links to the NewEgg.com website to see what other items were tagged as ‘tool-less’ I began to remember some hints and stabs at this I had seen in some Dell Optiplex desktops some years back. 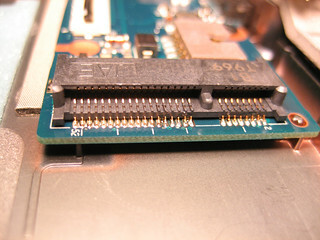 The ‘carrier’ bracket for the CD/DVD and HDD drive bays were these green plastic rails that just simply ‘pushed’ into the sides of the drive (no screws necessary). And when I considered my experience working with the 27″ iMac actually went pretty well (it booted up the first time no problems) after all I had done to it, I consider myself very lucky. But it could have been better. And there’s no reason it cannot be better for EVERYONE. It also made me think of the XO Laptop (One Laptop Per Child project) and I wondered how tool-less that laptop might be. How accessible are any of these designs? And it also made me recall the Facebook story I recently commented on about how Facebook is designing its own hard drive storage units to make them easier to maintain (no little screws to get lost and dropped onto a fully powered motherboard and short things out). So I much more hope than when I first embarked on the do it yourself journey of upgrading my iMac. Tool-less design today, Tool-less design tomorrow and Tool-less design forever.